We are North Lake Conroe Paddling Co. (NLCPC), a Montgomery County-based company. 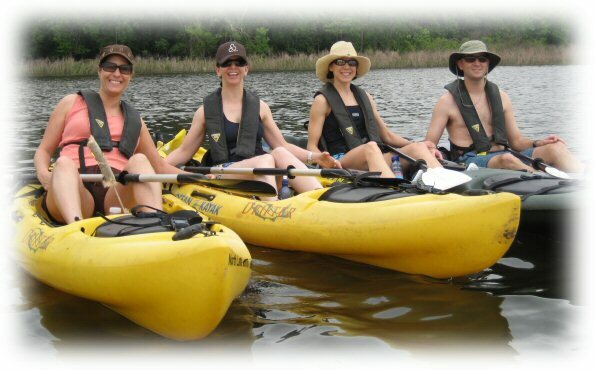 We offer Houston-area residents and tourists kayak rentals for individuals and small to meduim-sized groups. NLCPC was founded (on paper) in September of 2003 and later that fall was followed by a soft opening. Our grand "wet" opening was held on Valentine's Day weekend of 2004. We welcome both newcomers and experienced paddlers to try the north side of the Lake. NLCPC encourages you to experience paddling year round with our boats. Enjoy our top of the line, sit on top kayaks with truly upgraded accessories. These will help ensure a comfortable and enjoyable paddle time. 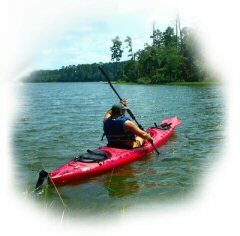 You will also find our kayaks to be clean, safe, fun, and easy to use. What's more, our new location is a real bonus. NLCPC has their own lake front property for easy put-ins. Now there is no longer a need to shuttle/transport rented kayaks. Just make the scenic drive to Calvary Road in Willis with a desire for the water. We make it easy ! North Lake Conroe Paddling Co.